Vary the Fabric for Use Anywhere Around the House! 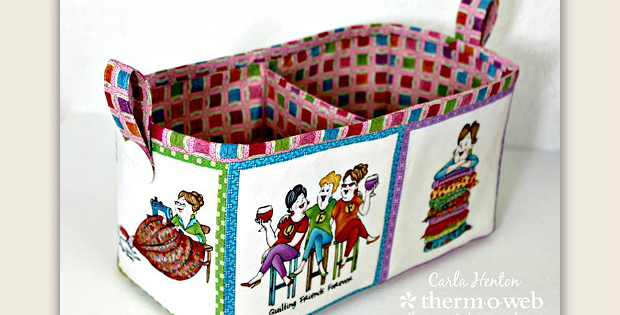 Squares from a fun fabric panel adorn the sides of this sturdy basket. Five inch charm pack squares also work, providing many creative options. 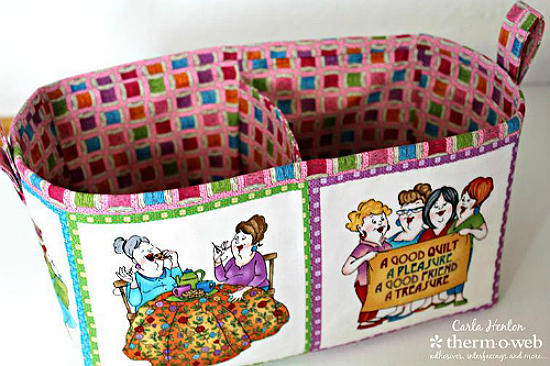 The basket is divided into two sections, making it great for storing fat quarters, charm packs and more. Heavy interfacing provides structure so the basket stays in shape. We can imagine making several of these, for use all around the house. Choose fabric in colors and designs, novelty or not, that work wherever you want to use the baskets. Small supplies of the Shop Hop fabric panel from Henry Glass used in the example are found here and here (one panel will make 4 baskets so you might share with a quilting friend). The specified Heat’n Bond Craft Extra Firm Iron-On Fusible Interfacing is found here. The finished basket, designed by Creatin’ in the Sticks, is 5” x 10” x 5 ¼” tall. 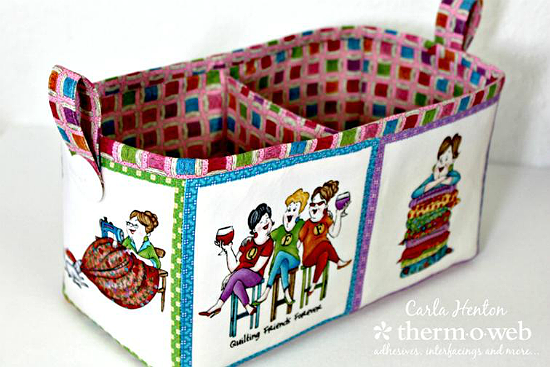 Click here for the free “Fabric Organizer Basket” pattern.